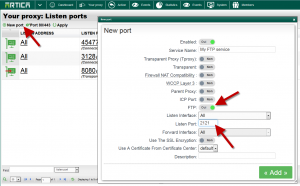 The proxy supports FTP trough HTTP but if you need to use native FTP trough a proxy, you need to create a new Proxy FTP port. This feature is available with Artica v2.13.063015 or above. 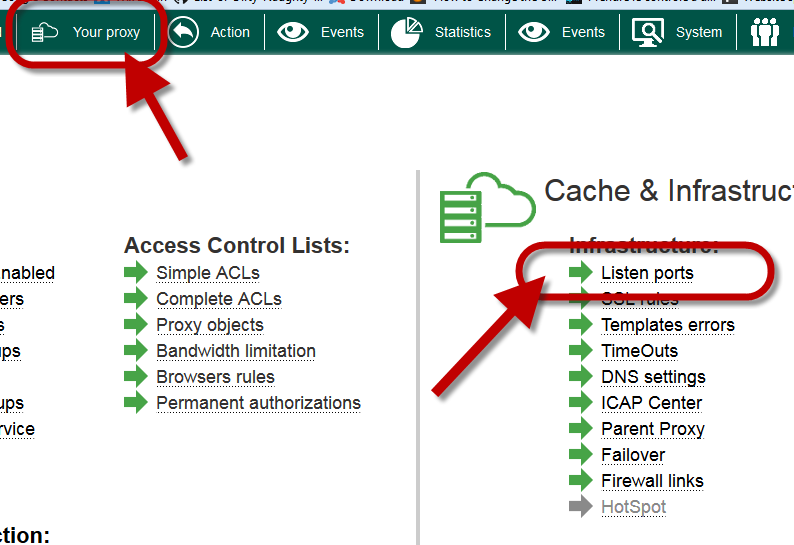 Go into Proxy ports under proxy section. 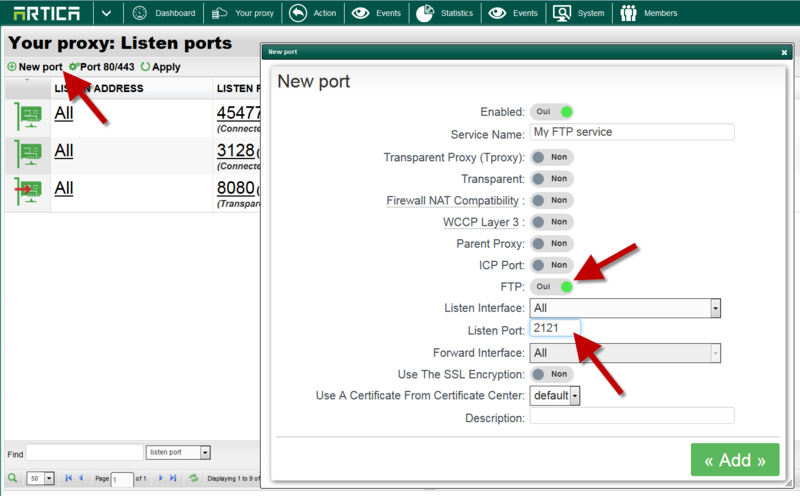 Click on your new added port. 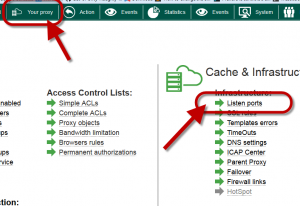 ← How to delete created groups in the Web-filtering ?